24 Oil Pastels and 18 Crayons: Containing all basic Primary Colours with the24 Oil Pastels, Your Child can use to Colour and Learn! 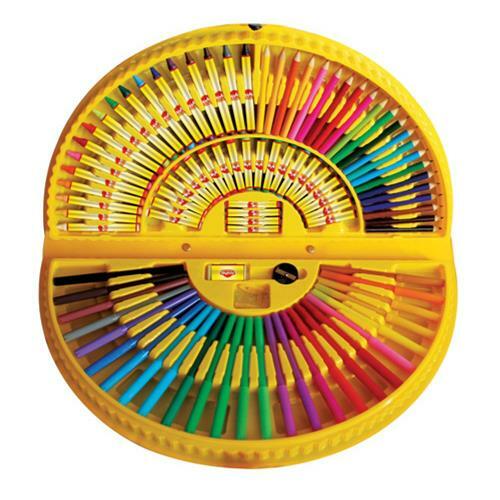 26 Markers: 26 Markers to Outline, Write Birthday Cards, Decorate and More! 9 Paper Clips: 9 Paper Clips that come with the Kit. 22 Colouring Pens: 22 Colouring Pens to Outline, Write Birthday Cards, Decorate and More!